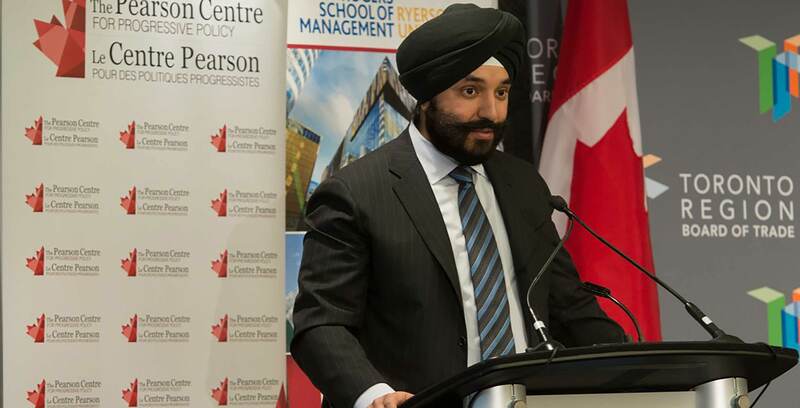 Innovation minister Navdeep Bains used the final day of the annual Canadian Telecom Summit to announce a consultation on the deployment of 3,500MHz spectrum. The goal is to advance the federal government towards an eventual 3,500MHz spectrum auction in 2020. In addition to the 2020 3,500MHz spectrum auction, Bains said that a millimetre wave auction is planned for 2021. “In the meantime, we have redesigned the developmental licence program to help innovators get temporary access to spectrum,” said Bains. “I don’t want to prejudge the outcomes of the consultations, so at this moment, I can’t confirm that will be the case for the next two auctions, but we are in the process of engaging industry,” said Bains. ISED has set aside 43 percent of spectrum for smaller players in the upcoming March 2019 600MHz auction. ISED previously issued a consultation regarding future wireless spectrum releases in October 2017. Various parties — including governments and industry players — responded to that call for feedback, arguing that 3,500MHz spectrum is necessary for Canada’s 5G future. During 2,300MHz and 3,500MHz spectrum licence auctions in February 2004, January 2005 and June 2009, national carrier Bell emerged as the major winner, gaining 234 out of a total 852 bids. It should be noted that the 3500MHz was auctioned for the stated purpose of Fixed Wireless Access (FWA), thereby constraining its potential use for 5G wireless.